THE CARNOUSTIE FOBEL SHOP | TRY FOBEL FIRST! Do your paint brushes look like these? Our guide to cleaning those brushes below should help you get years out of your paint brushes. It covers cleaning brushes that you’ve used with water based paint and also for those brushes that you’ve used with oil based paint. Follow these tips to get your brush completely free of paint and properly shaped for the next job. Even if you’re not cleaning water-soluble paint, pay special attention to Step 5 immediately below; you’ll need it no matter what kind of paint you need to clean out of your brush. Scrape off excess paint. It may seem obvious, but be sure the brush is as free of paint as possible. Use the rim of a can and then work some of the paint onto newspaper before cleaning in soapy water. Wash the brush in a pail of soapy water. Work the paint free of the bristles with your hands and a brush comb. Spin the brush in a pail. Remove any remaining paint and water. Rinse the bristles in a pail of clean water. Work the bristles with your hand. After a few minutes, spin the brush again and then rinse it in another pail of clean water. Wrap the brush with heavy paper. Prefold the paper as shown, then wrap it around the brush and tie it loosely with string. This step is critical to retain the shape of the brush. The process here is very similar to cleaning off latex paint except you’ll use paint thinner (white spirits) instead of soapy water to rinse the brush clean. Again get the brush as free of paint as possible before cleaning. This is especially important with oil-based paints and varnishes so you can use less thinner and have fewer mess and disposal hassles. Rinse the brush thoroughly in paint thinner. Work the bristles with your hands (wear chemical-resistant gloves, which are available from the Fobel). If necessary, use a brush comb to get rid of paint clinging to the brush. This is less of a problem with oil paint than with latex. Spin the brush for 10 seconds. Use a brush-and-roller spinner after nearly all the paint solids are out of the brush. Dip the brush into a clean container of paint thinner. Work any remaining paint out of the bristles. Agitate the bristles for at least two minutes. Dip the brush into a container of lacquer thinner. Agitate the brush for about a minute to remove any remaining paint residue. Shake the brush onto newspaper to remove the lacquer thinner and residue. Lacquer thinner is extremely flammable—be sure to do this outside. Clean the brush in a bucket of soapy water. Use laundry or dish soap. Work the bristles for only one minute. Purists may not want to do this, especially with natural-bristle brushes. A quick cleaning with water won’t damage the bristles, though. Spin the brush free of water and then shape the brush as shown above. Don’t dump the paint thinner when you’re finished. Let the paint solids settle to the bottom of the jar, then pour off the rest into a clean container. Let the solids dry outdoors and then dump them in the trash for landfill or hazardous waste. Contact Angus Council for proper disposal. Always work in a well-ventilated area when cleaning brushes in solvents such as paint thinner. In fact, it’s best to work outside. Don’t ever clean solvent-laden brushes around heaters, stoves or any device with an open flame or potential electrical spark. Keep the solvents in proper, well-marked containers out of reach of children and pets. 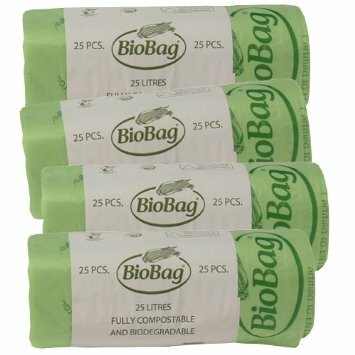 Same price as Amazon and Compostable dog poo bags, with handles, only £2.50. Don’t waste fuel, try Fobel first!